In 1919 the Council of Ambassadors of the winning countries granted 100 captured locomotives under the French administration to Poland, a beginning of the division of the German locomotive fleet. 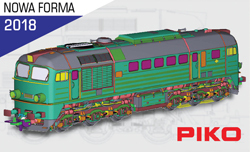 PKP received 80 G8 steam locomotives (Tp3), 19 P8 steam locomotives (Ok1) and 1 C class express locomotive (Om101). Although PKP qualified it on the basis of the driving wheels diameter for as a passenger locomotive, Om101-1 hauled international and fast trains. 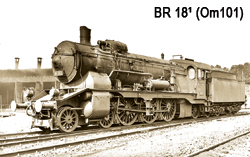 Before the end of the interwar period, the locomotive was assigned to Łódź Kaliska depot and ran with express trains between Łódź Kaliska and Ostrów Wlkp, Łódź Kaliska and Warszawa and with passenger trains on the section Łódź Kaliska - Toruń Gł. In September 1939 the locomotive left for the east with an evacuation train, got into Soviet hands and never came back from there again. The construction of line 209 begun in 1880s and continued right until 1900. For nearly one hundred years it provided a communication link between Brodnica and Bydgoszcz – important locations of Pomorze and Kujawy, at the same time constituting an important element of the local transport system. Unfortunately, from 1999 onwards traffic was discontinued on different sections of the line. Even though some of them have since been reinstated, a significant part of this railway line has permanently been devoid of any prospects for the future. A vivid article by Rafał Bajko brings back memories of the line and documents its remnants that can still be seen. - strange as it may seem, this is what reality in Poland is like at the moment. The number of models of Polish-built railway vehicles is more than we could ever have dreamt of. PIKO’s offer is not only much more than any other model railway company can offer, but also no other country can enjoy such a multitude of railway models, especially those from Eastern Europe, which were always at the focal point for companies from the former German Democratic Republic, with PIKO being the most important of them all. The first edition of this countrywide meeting for clubs and individual modellers was a great success and good perspectives for the future. 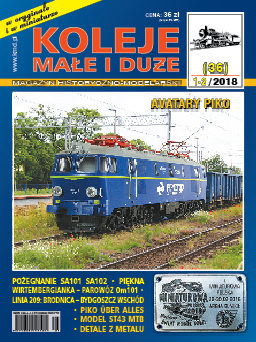 The „Miniature Poland” meeting provides an opportunity for laid-back meetings of those interested in railways, sharing the experience, plans and achievements of the active groups, individual modellers and collectors from all around Poland, who can also present their best models. 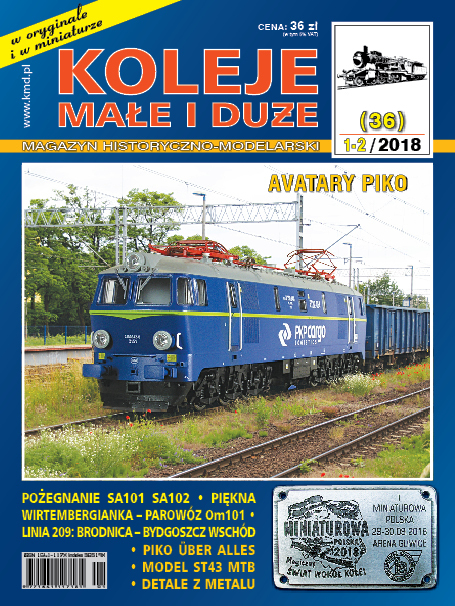 The ‘”Miniature Poland” is definitely directed towards the active popularization of the railway hobby and Polish railway in general, at the same time playing a vital role in encouraging younger generations to consider further education in railway jobs.